Colorbond Steel Roofs are attractive, versatile, environmentally friendly and durable. The use of Colorbond Steel Roofing will enhance the look and liveability of your commercial, industrial or residential building and set it apart from all others. Colorbond steel roofing have a legendary design and a long life performance. They have a superior oven baked finish that resists peeling, chipping and cracking which makes it a remarkable product that can be used in any type of climate. Along with the strength and durability that Colorbond steel provides, the range of colours are superb. The Colorbond steel colour palette is fresh, subtle and sophisticated. Before Colorbond steel hit the scenes, roofs were pretty much lifeless and were not considered a feature. With Colorbond steel roofing however there is no more need to have dull metal roofing or rusty metal with paint peeling off. Together, R.O. Steel Roofing and Colourbond steel roofing will give your properties roof a facelift, offer you design flexibility and value for money! Colorbond Steel has been tested specifically for the tough Australian climate and the serve weather conditions that we as a country experience. This means that a colorbond roof will better cope with Sydney’s weather conditions and last for a longer period of time. Colorbond Steel will improve the thermal performance of your building and save you money on cooling and energy costs. Not to mention the additional benefit to your employees and clients who will be much more comfortable in your space. 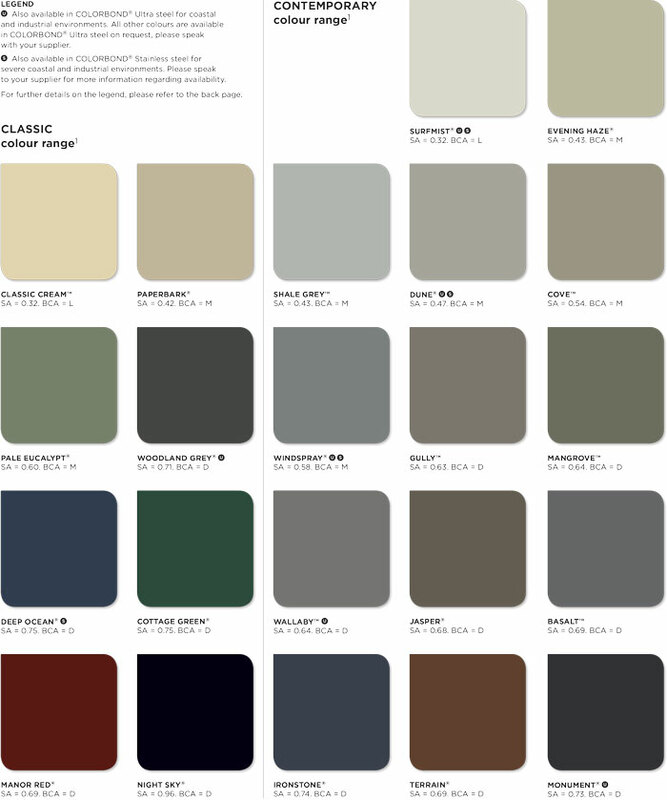 There is a wide range of colours to choose from when deciding on the final look of your large residential or commercial building. This allows you to better match the branding of your company with the appearance of your building. Each of these colours have also been tested to make sure they will not lose their colour or shine over the life of your roof. Colorbond Steel is flexible and therefore able to be used in some of the most modern and cutting edge designed buildings. This gives it an advantage over more traditional roofing materials which are more cumbersome and difficult to use. Colourbond Steel can also be utilized in other areas of your commercial roof including fittings, guttering and structural cladding, giving you a seamless look. Colourbond Steel Roofs can be quicker to construct due to their lightweight nature than traditional roofing materials. This is great news for you, the property owner, as you will save money on labour costs. Find out more information about Colorbond Steel, available colours and products by visiting the Bluescope website. R.O. Steel Roofing has over 30 years of experience in the roofing industry! This makes R.O. 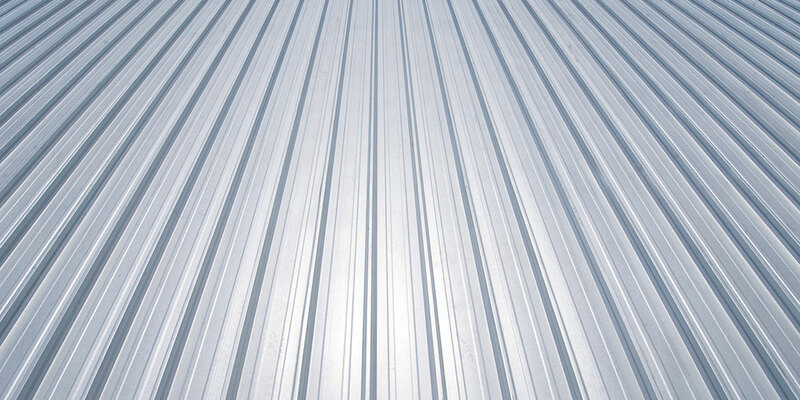 Steel Roofing one of the leading roofing companies in Sydney. This means you will get the best possible Colorbond roof for your property, time and money. Speak with one of our trained experts today for all of your Colorbond roofing needs and requirements. To find out more about what is involved in having your buildings roof replaced with Colorbond sheeting; we offer a Free No Obligation Quote. This will allow us to assess your building’s roof, answer any questions or concerns you have and provide you with a quote so that you know exactly the type of money and time frame you are looking at. To book your free quote, please contact us on 02 9660 5937 and our friendly staff will be happy to assist you.